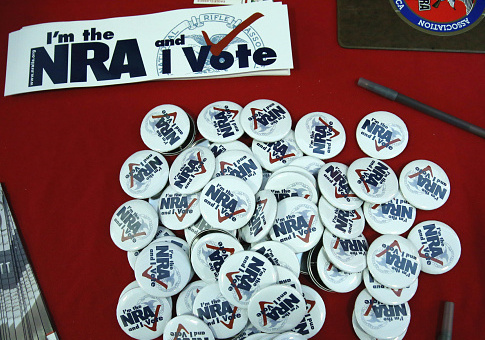 "The NRA's strength is in our dedicated and politically savvy members," Jason J. Brown, NRA media relations manager, told the Washington Free Beacon. "Over the next 100 days we hope to welcome 100,000 new freedom-loving Americans to our ranks. The threat to our Second Amendment has never been greater." The NRA's membership drive comes shortly after gun-control activists held nationwide rallies last month demanding new gun bans and age restrictions on purchasing firearms. The organizers behind the March for Our Lives rally managed to raise over $3 million dollars, much of which was given to a 501(c)(4) advocacy organization that plans to continue lobbying beyond the marches. It also comes after a number of states have passed new restrictive gun-control measures. Republican governors in Florida and Vermont have even reversed their previous pro-gun positions to sign two of the most sweeping new gun-control laws in the country. The NRA has already challenged the Florida law in court. The NRA said new memberships in its own 501(c)(4) nonprofit are necessary to combat further restrictions on gun rights. "The enemies of freedom are well-organized and well-funded, and it’s our responsibility to fight back," Brown said. "The Second Amendment needs you now more than ever. Please join the NRA Family today." The NRA did not disclose how many dues-paying members it currently has on its books. It has repeatedly reported its membership at 5 million, including in a video message to members posted in 2016. The group encouraged those who want to support the drive to post links about it to their "social media pages to encourage others to join the NRA 100K Challenge." This entry was posted in Issues and tagged Guns, NRA. Bookmark the permalink.